Medical plant Guava or(Psidium guajava)in the name of botanical widely spread to Southeast Asia including Indonesia, Guava plants, including shrubs and has many branches and twigs; rod hard. Surface of the outer skin of the guava tree brown and smooth. 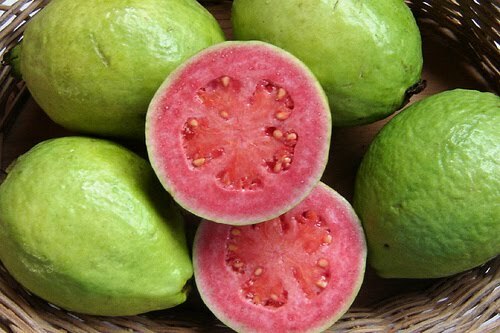 When the guava skin is stripped away, the surface of the logs will look wet. Generally oval shape patterned leaves with rather large size. The flowers are white and small axillary leaves emerging from behind. These medical plants can flourish in low-lying areas until at an altitude of 1200 meters above sea level. 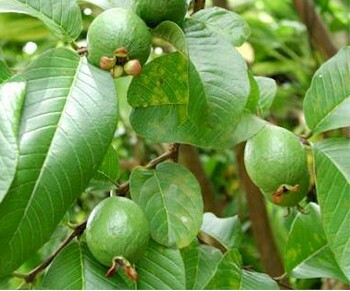 At the age of 2-3 years has begun to bear fruit guava. Seeds many and there in the flesh.